Waterproofing your basement is an essential part of fall maintenance. When winter hits, you will be glad that you waterproofed your basement. Wait a second. You haven’t waterproofed your basement yet? Waterproofing your basement is an essential part of fall maintenance. Without appropriate waterproofing, the snow and ice could cause serious issues for your home. Today we’re going to be talking about waterproofing your basement before winter hits. Are you ready to learn more? Well, let’s get started! Well, when snow and ice start to make their way into your life, they can threaten your home. For example, if your home’s foundation is cracked, then the snow and seep into that crack. If it were to freeze, then it would expand. This expansion can lead to making the crack much worse. A cracked foundation is not good for the safety or value of your home, so every measure should be taken to avoid it. You can have your basement waterproofed from the inside or outside. This can help to prevent basement flooding year round, foundation cracks, and even the growth of mold. When you have your basement waterproofed, you can even turn the room into another living space. So, don’t wait until winter hits. Make sure that your basement is ready to go! 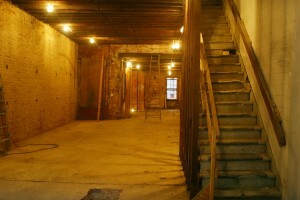 Need help with waterproofing your basement? What about sprinklers? This entry was posted on Monday, August 17th, 2015	at 4:29 pm	. You can follow any responses to this entry through the RSS 2.0	feed. Both comments and pings are currently closed.